center, set to begin after the holiday season in the first quarter of 2019. Inspired by the elevated ambiance enjoyed at the property’s highly successful outdoor Patios district and along Town Center Drive, the new interior renovation will focus on enhancing the customer experience with new flooring, lighting, landscaping and furniture throughout, upgraded restrooms, and a renovated food court. The $20 million renovation project will also include a new signature children’s play space and a second family lounge area to offer families added convenience and enjoyment as they move through the center between Town Center Drive and the Patios. In addition, enhancements to the entry at Town Center Drive – including a new façade and awnings – will provide a more inviting welcome to guests from the outside to come inside and explore. included the addition of the aforementioned Patios district, which brought Apple, Lululemon, Brighton Collectibles, first-class dining and other strong first-to-market brands to the Santa Clarita Valley. More recently, upgrades to the entertainment and dining offering included the addition of The Canyon – Santa Clarita, The Cheesecake Factory, The Dudes’ Brewing Company and Saddle Ranch Chop House. Unibail-Rodamco-Westfield is the premier global developer and operator of flagship shopping destinations, with a portfolio valued at €63.7 Bn as at June 30, 2018, of which 86 percent in retail, 8 percent in offices, 5 percent in convention & exhibition venues and 1 percent in services. Currently, the Group owns and operates 97 shopping centres, including 56 flagships in the most dynamic cities in Europe and the United States. Its centres welcome 1.2 billion visits per year. Present on 2 continents and in 13 countries, Unibail-Rodamco-Westfield provides a unique platform for retailers and brand events, and offers an exceptional and constantly renewed experience for customers. With the support of its 3,700 professionals and an unparalleled track-record and know-how, Unibail-Rodamco-Westfield is ideally positioned to generate superior value and develop world-class projects. The Group has the largest development pipeline in the industry, worth €12.5 Bn. 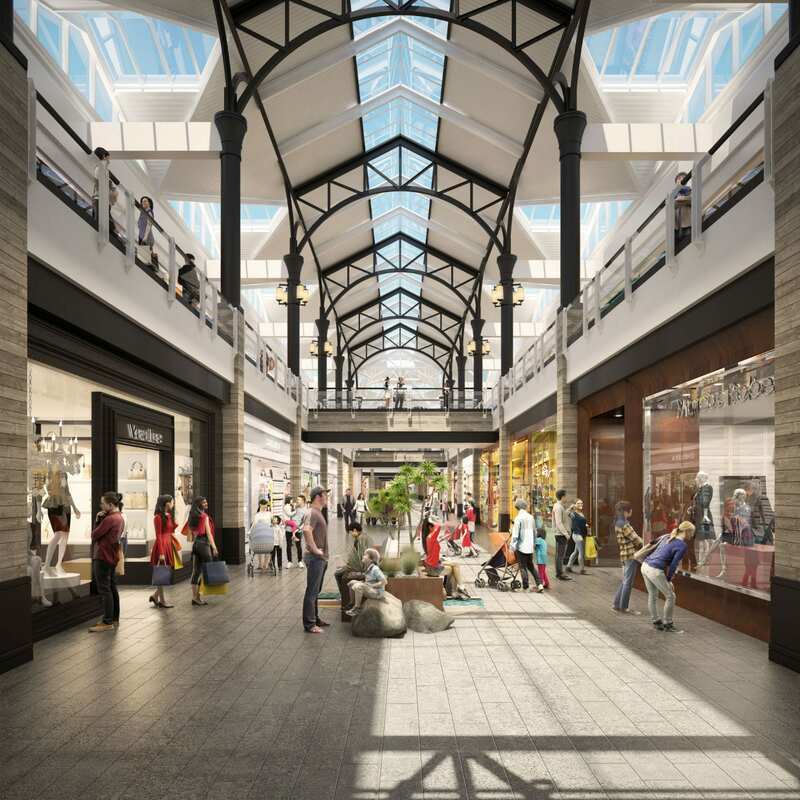 Unibail-Rodamco-Westfield distinguishes itself by its Better Places 2030 agenda that sets its ambition to create better places that respect the highest environmental standards and contribute to better cities. Unibail-Rodamco-Westfield stapled shares are listed on Euronext Amsterdam and Euronext Paris, with a secondary listing in Australia through Chess Depositary Interests. The Group benefits from an A rating from Standard & Poor’s and from an A2 rating from Moody’s.